Do you suffer from warranty woe? It’s a condition that befalls many drivers. Your new car comes with a warranty. But you’re a bit confused and concerned by it rather than viewing it as the comforting safety blanket that the car maker intends. 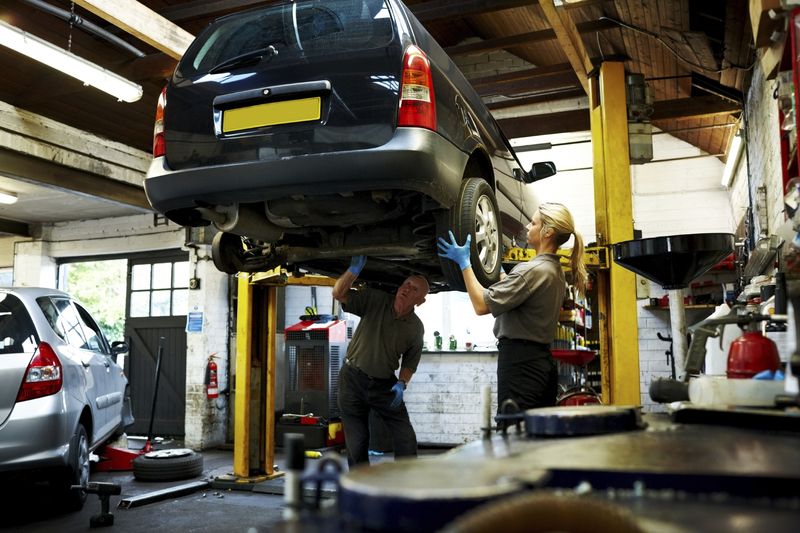 The majority of new car warranties last for three years and 60,000 or 100,000 miles. Some last for five or seven years. However, they all have at least two things in common: they protect you and the car against defects relating to materials, fittings and manufacturing faults; and you can invalidate them easily if you’re not careful. In its most basic terms a warranty is a contract between the manufacturer and vehicle owner. The car’s maker promises to take care of repairing parts stated in the contract; the owner undertakes to maintain the vehicle in the way the car maker specifies. How should you maintain your vehicle? You can keep your warranty valid without using a manufacturer franchised outlet. However you must be careful. The work must be done to the same standard as a manufacturer’s workshop. So oil must meet the standards stipulated in the vehicle’s handbook and manufacturer’s original parts must replace any other components. To prove you’ve done this at an independent garage, make sure you keep records outlining the servicing work, parts used and get the garage to stamp the servicing book. When should you maintain your car? It’s vital that your car is serviced according to the manufacturer’s schedule. There was one case where a nearly new car rolled into another vehicle because its electronic handbrake failed. It had been booked into the dealer to have the handbrake checked. The crash damage was repaired by the insurer. However, because of the saga, the car missed its scheduled service. Since this wasn’t carried out within 14 days of the car’s anniversary, the manufacturer declared the warranty void, even though theoretically it still had two years to run. Don’t be under any illusions: car manufacturers, like insurers, have to be hard-nosed about the terms of the contracts they have with their customers. It’s worth checking your car’s warranties for the terms and conditions. The old cliché of giving with the large print and taking away with the small is frequently very true. A warranty may contain a clause saying that it will be invalidated if you use the car for certain things. So you may buy a high-performance sportscar but find that the warranty is invalidated if you take it on track days. What happens if your motor is modified? Manufacturers, not unreasonably, don’t like paying out for things that may be out of their control. If you have your car’s electronic brain – its ECU – altered to yield more mpg, for example, the manufacturer won’t cover it if the engine subsequently fails. It probably won’t even cover it if an unrelated component goes bang. Modifying the car in any way gives the car maker an excuse for getting out of its contract. A guarantee doesn’t absolve car owners of any maintenance costs. If, for example, the brake pads and discs need changing after 40,000 miles that might be classed as reasonable wear and tear. If the gearbox packs in after two years that may well be a manufacturing defect and covered by warranty. How do you ensure a car maker honours its warranty? Some car makers say that only their technicians can decide whether a part is faulty or not. According to the Unfair Terms in Consumer Contracts Regulations 1999 this is not allowed. It is your right to have a failed or disputed part inspected by an independent technician if you suspect it might enable you to make a warranty claim. However, you have to have the component to do that and some garages reserve the right to dispose of failed parts when the work has been done. If a part does fail within the warranty, make sure you ask the garage to keep it after they’ve finished the work. Why don’t you need to use a car maker’s franchise? Before 2003, car makers would routinely invalidate your warranty if you took the vehicle for repairs at a workshop out of their control. However, the European Commission’s Block Exemption Regulation was then passed as law, allowing vehicle owners the freedom to have their servicing and repairs done at a garage of their choosing. The theory is this gives vehicle owners more choice and better value for money.